Oracle REST Data Services enables users to turn their Oracle database into modern RESTful API Services. 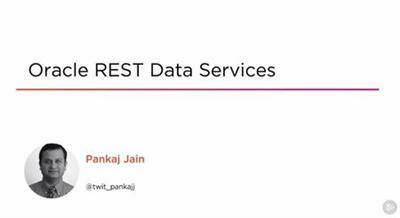 This course will teach you to install ORDS, AutoREST enabled database objects, create custom REST services, secure and deploy them on app servers. REST access to your table data for the CRUD operations is a common need for most web applications. In this course, Oracle REST Data Services, you will learn about this powerful tool that enables users to turn their Oracle databases into highly scalable and secure, enterprise-grade RESTful API Services. ORDS enables REST access to your Oracle database tables, views, and program units with literally no coding. You can easily create more complex, enterprise grade custom REST services, using just your SQL and PL/SQL skills. First, you will start off learning how to install and configure ORDS. Next, you will see how to enable database objects for REST access, as well as create custom REST services. Finally, you will learn how to secure your REST services and deploy them on standard application servers. By the end of this course, you will gain a solid foundation to get started with ORDS, which will enable you to create RESTful services rapidly against your Oracle Database. What you learn will go a long way in easing your development efforts and adoption to the cloud native apps and the micro services architecture.